The excellent opening track Power Of The Night is counter-balanced by the terrible Washed Out. The rest of Power Of The Night suffers from a severe absence of personality. On the third Savatage album, the Oliva brothers John and Criss along with their bandmates Keith Collins and Steve Wacholz try hard and have their hearts in the right place, but it is arguable whether Savatage ever brought anything really new to the party. Their songwriting, solos, melodies, power, speed, and technical skills are always very much middle-of-the-pack. After the opening track, which promises much, the music on Power Of The Night quickly drops to functional, adequate and mostly derivative. 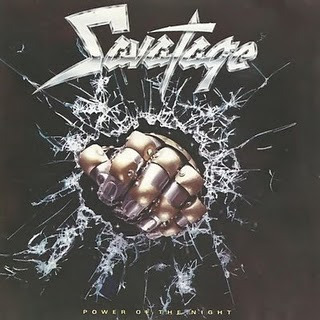 With a total absence of anything that can be remotely mistaken for inspiration or innovation, Power Of The Night is an album that can only offer reasons to be played in the absence of anything better, and unfortunately for Savatage but fortunately for metal, there are plenty of better albums out there. Produced and Engineered by Max Norman.